Recently, top US national security advisors scrambled to salvage the strategic NATO alliance to keep Russia away from it historic influence over Eastern Europe. Meanwhile, the American press as also the policy makers counseled President Trump against isolating Pakistan. They fear an isolated Pakistan would fall in the lap of Russia. The US president, a so-called hero of white supremacists, seemed least bothered. Pak-US relations are as low as they were during era of the Pressler Amendment. Both countries have been accusing each other for different reasons. Misunderstandings are beyond counting. Expectations are beyond imagination. The Trump administration has not only denied financial assistance to the Pakistan army, it has also refused to train senior Pakistan army officials in the US academic and military institutions. Since 2001, hundreds of Pakistan army officials visit the US every year to get training in modern warfare under the Pentagon's International Military Education and Training (IMERT). The idea behind that decade-long exercise was to equip Pakistani military officials with necessary skills to combat terrorism at the strategic level. Islamabad anticipated harsh decisions by the Trump administration and hence started cultivating relations with Moscow, especially after an infamous tweet by President Trump on the eve of New Year. Trump had accused Pakistan of cheating, deceiving and backstabbing. Last week, Islamabad signed a similar agreement with Moscow which it had signed with the United States after 9/11. Now Pakistan military officials would get enrolment in the Russian institutions for the training. The supply of military hardware and equipment is also expected to increase in coming years. Moscow also sent its envoy in Islamabad to meet prime minister in-waiting Imran Kahn, at the latter's residence. The Russian ambassador urged Imran Khan to fast track the growing relations between the two countries. Khan expressed interest in economic cooperation and told the envoy that Russian that drilling companies should come and explore oil and gas in Pakistan. The two countries are also motivated by the threats of a growing presence of Islamic State militants in neighboring Afghanistan which may jeaopardise key Russian interests in Iran and Central Asia as well. Though Islamabad-Moscow relations are 70 years old, they could never grow beyond diplomatic formalities. During several eras they remained hostile due to Pakistan's closeness with Washington. In the 1980s when the then Soviet Union had its Red Army in Afghanistan to prop up its communist ally in Kabul, Pakistan helped Washington and Riyadh wage a global jihad against one of the two super powers. As a frontline state, Pakistan contributed a lot in defeating the Red Army that ultimately culminated into breakup of Soviet Union. Moscow's annoyance against Islamabad was, in fact, growing much before the invasion of Afghanistan. For instance, in 1960, Soviet forces shot down an American U-2 spy aircraft in its territory that had taken off from one of the Pakistani airbases. Soviet Union then threatened Pakistan of dire consequences. During first Afghan war, the Pakistani nation was taught a factually wrong narrative that the Soviet Union wanted access to warm waters through Pakistan. What ultimately happened was catastrophic for Pakistan. Soviet forces went back. Afghanistan became a mess. And Pakistan paid the price with more than 60,000 lives and billions of dollars of financial losses. Another big reason for Pakistan seeking Russian support is its fragile economy. The country needs IMF bailout package worth more than $ 5 billion to repay due installments of its foreign loans. They are heavily relying on Chinese and knocking every other door to keep the IMF at bay. Moscow is one of the doors. Secondly, after a flat refusal by Washington, Islamabad's reliance on Beijing and Moscow would grow as far as the military hardware is concerned. During his last visit to Moscow Pakistan's army chief General Qamar Javed Bajwa discussed the possibility of buying Russian engines for the Chinese made JF-17 fighters. Pakistan is also interested in buying air defence systems and the T-90 tanks. Discussion has also been started to sign Sukhoi-35 deal. Russian intelligence network and physical footprint in Pakistan is gradually growing. It has opened a consulate in Khyber Pakhtunkhawa, a province which has a long border with Afghanistan. The Russian companies would venture into oil and gas sector during the upcoming government of Pakistan Tehrik-e-Insaaf. If it happens, that would be second biggest economic cooperation after 1971 Steel Mills agreement. 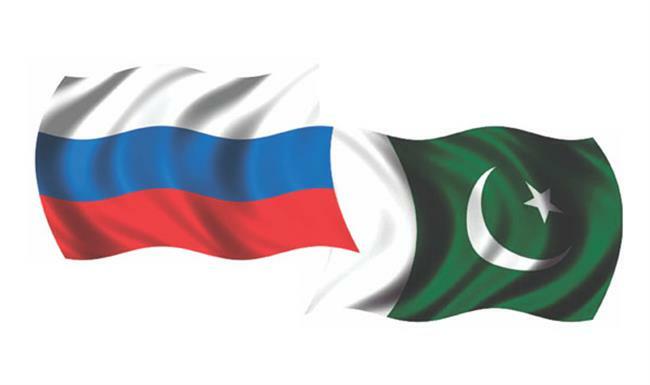 The pace of Pak-Russia relations is slow and, therefore, it is not raising many eyebrows in Washington or New Delhi. However, improving relations with Russia would be one of the key elements of Khan's foreign policy. And he, apparently, enjoys the complete backing of the General Headquarters on this.acted India’s ties with Russia by ignoring Pakistan.